Happy Monday, reader! My look today is an experiment; I’m using a fan brush for nail art for the first time ever! I bought a cheap drugstore nail art kit just for the fan brush in it, and I’ve finally gotten around to using it. For this look, I used a faded bottle of Sinful Colors’s Dream On, Kleancolor’s Neon Orange, and Island Girl’s Aloha Paradise. I started this look off with a good base of Dream On. Like I said, this polish faded dramatically. 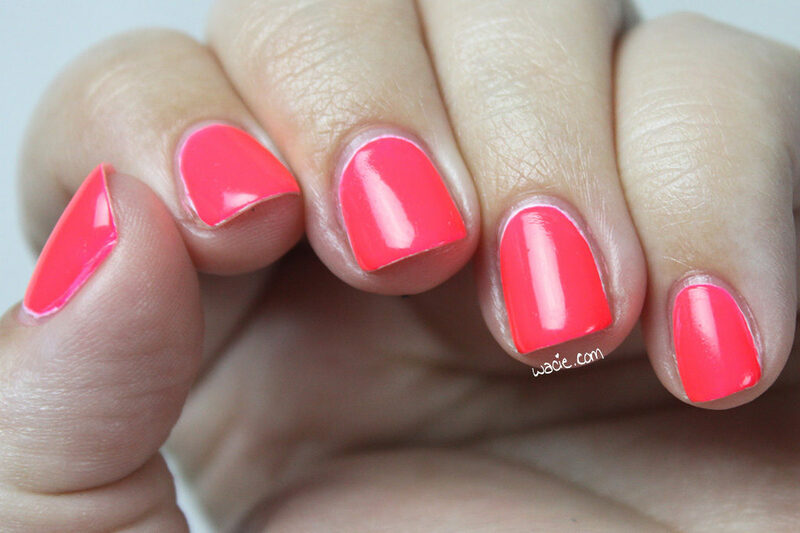 It was once a vibrant neon purple that became the coral you (kind of) see here. Even when I got this polish, I wasn’t a huge fan of it; it takes all of three coats to cover all the streaks and leaves behind a cheap-looking flat finish. I love Sinful Colors polishes to death but this one was never my favorite. I originally didn’t include Aloha Paradise in this look, but ultimately, the look needed something for contrast. 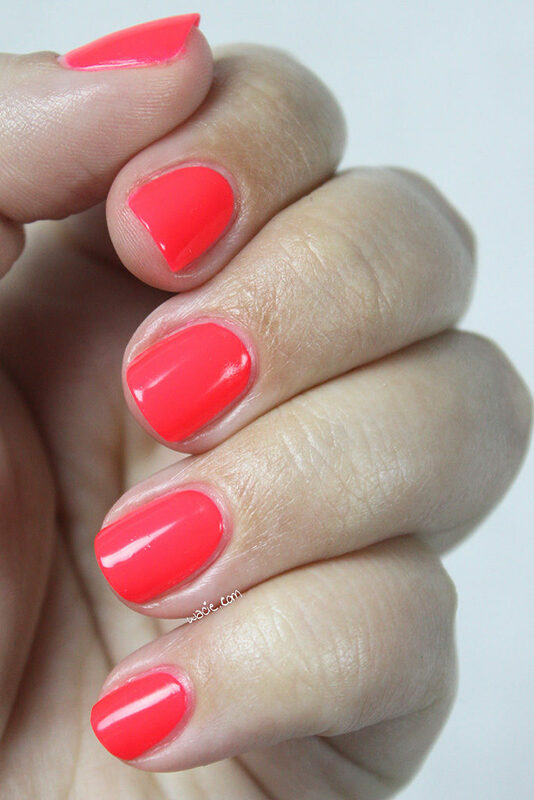 Dream On and Neon Orange are both on the sheer side; obviously the coverage builds, but for nail art, something with good coverage is ideal. It didn’t look like anything without the teal to liven it up. After that, I just kind of brushed the polish back and forth over the nail until I started getting dry brush strokes. It looks amazing up close like this when you can see the brushy details, but from far away, it just looks like a brown mess. Sinful Colors and Kleancolor are sold in stores. I found Island Girl in Hawaii. Happy Sunday! 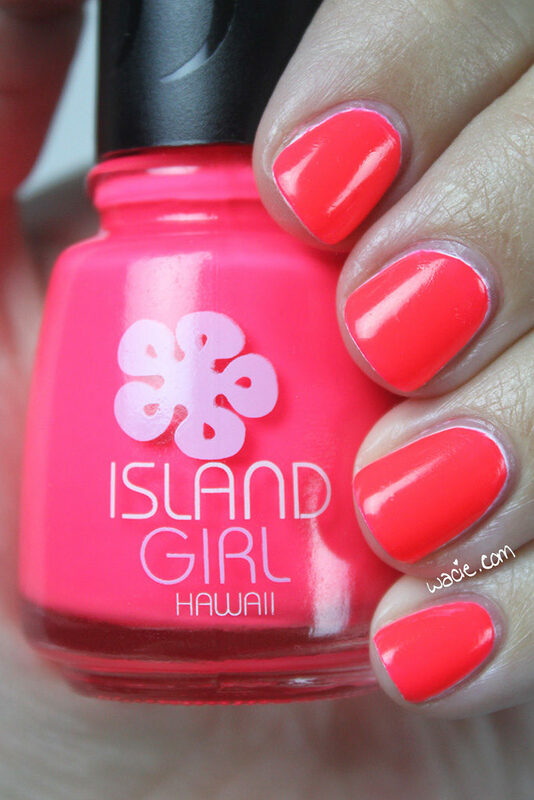 I promised an Island Girl polish swatch, so here it is! 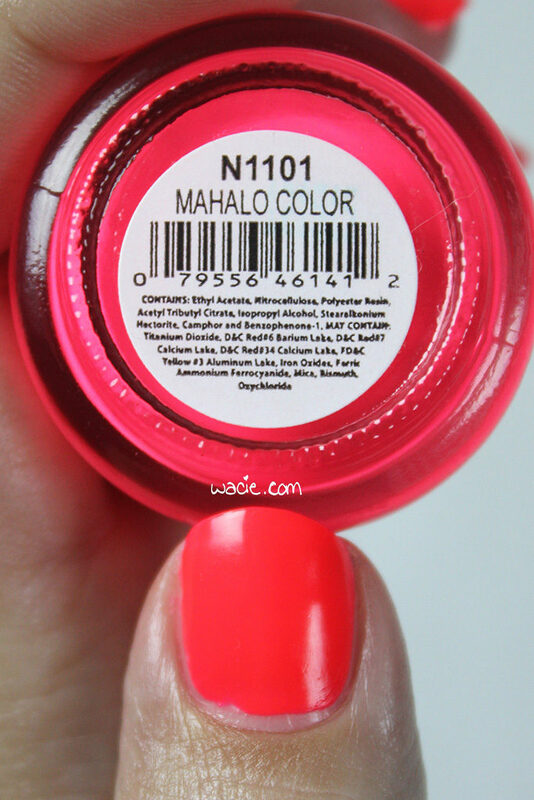 Mahalo Color was the first one I grabbed off the rack, so it’s the first one I’m going to swatch. Here is three coats of Mahalo Color with one coat of Seche Vite. 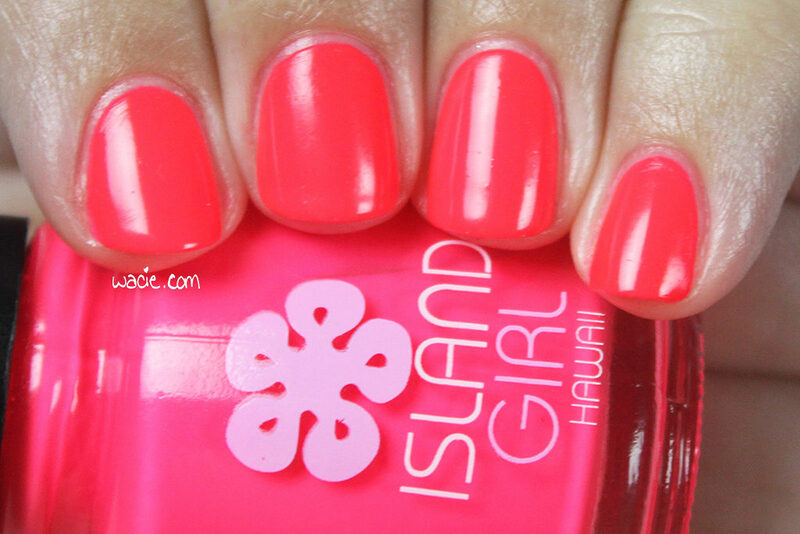 Mahalo Color is a neon pink creme polish. Application was all right; the polish was difficult to control at times. 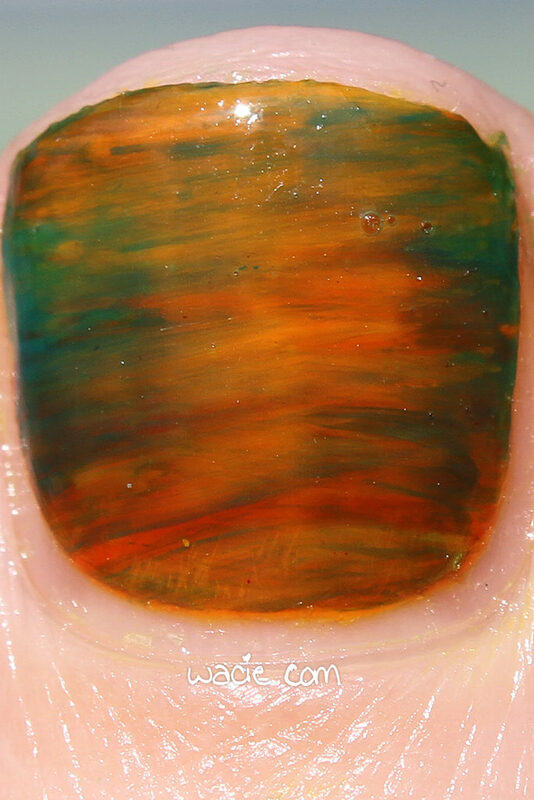 It would leave streaks in the color if you went over a wet place a second time, and it didn’t self-level, leaving some ridges in the color if my application wasn’t 100% smooth. Luckily, my top coat evened a lot of these problems out. The polish dries quickly and with a matte finish. I don’t feel like this is very high quality polish. If I didn’t use top coat, I would have absolutely hated the way this polish looks. The matte finish wasn’t a good matte finish, and the unlevelled color made it look like latex paint. It was sad. I mean, I guess I shouldn’t be disappointed, since the polish is more of a souvenir curiosity than anything else. It gives my hands a good tan, which was something I actually didn’t get in Hawaii. Something that really bothers me about this polish is that it’s not the same color in my nails as it is in the bottle. On my nails, it looks more red than pink. I mean, it’s still bright and neon and awesome, but it’s not the color I wanted. I decided to try Mahalo Color over a white base to see what happened. I expected it would be a little truer to the bottle color, but it’s not. It’s more or less the same, maybe a touch redder with the white base than without. Again, it’s a souvenir. I’ve got other neon pinks I like better. 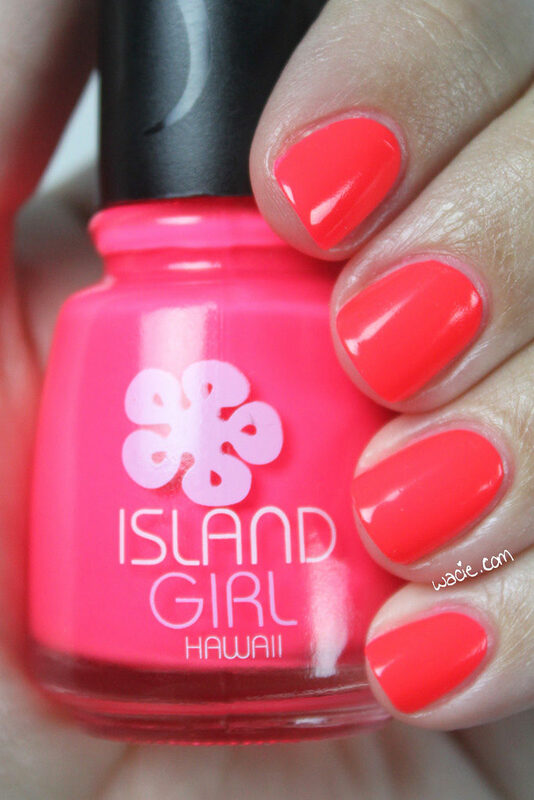 Island Girl is available at ABC Stores in Hawaii and Las Vegas, as well as their website.